K. Sitaram and Anr Vs. CFL Capital Financial Service Ltd. and Anr. Respondent: CFL Capital Financial Service Ltd. and Anr. “5..The question as to what were the terms of the settlement and whether they were duly incorporated in the printed agreement or not were all questions which could be properly and adequately decided in a civil court. Obtaining signature of a person on blank sheet of papers by itself is not an offence of forgery or the like. It becomes an offence when the paper is fabricated into a document of the kind which attracts the relevant provisions of the Penal Code making it an offence or when such a document is used as a genuine document. Even assuming that the appellants either by themselves or in the Company of some others went and seized the truck on July 30, 1973 from the house of the respondent they could and did claim to have done so in exercise of their bona fide right of seizing the truck on the respondent’s failure to pay the third monthly installment in time. It was, therefore, a bona fide civil dispute which led to the seizure of the truck. 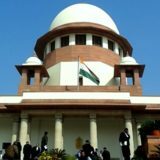 On the face of the complaint petition itself the highly exaggerated version given by the respondent, the appellants went to his house with a mob armed with deadly weapons and committed the offence of dacoity in taking away the truck was so very unnatural and untrustworthy that it could take the matter out of the realm of civil dispute. Nobody on the side of the respondent was hurt. Even a scratch was not given to anybody. 6. In our opinion on the facts and in the circumstances of this case criminal prosecution deserves to be quashed. On behalf of the respondent it was argued that the appellants’ filing a petition in the High Court for quashing the proceeding before issuance of the summons was premature and the High Court could not have quashed it. In our opinion the point is so wholly without substance that it has been stated merely to be rejected. Since the parties during the course of the hearing in this appeal showed their inclination to settle up and end all their disputes and quarrels in relation to the matter in question after we indicated our view that we are going to allow the appeal and quash the proceedings, we have not thought it necessary to elaborately give other reasons in support of our order”. 14) Learned senior counsel for the appellants further relied upon Sunil Bharti Mittal vs. Central Bureau of Investigation 2015 (1) SCALE 140 wherein it was held that a corporate entity is an artificial person which acts through its officers, directors, managing director, chairman etc. If such a Company commits an offence involving mens rea, it would normally be the intent and action of that individual who would act on behalf of the Company. It would be more so, when the criminal act is that of conspiracy. However, at the same time, it is a cardinal principle of criminal jurisprudence that there is no vicarious liability unless the statute specifically provides so. 15) As the appellants herein have challenged the legality of the order of issue of process, it would be worthwhile to recapitulate the law regarding issue of process. The relevant point that arises for consideration at this stage is whether the material available is sufficient enough to constitute a prima facie case against the accused. 16) When a person files a complaint and supports it on oath, rendering himself liable to prosecution and imprisonment if it is false, he is entitled to be believed unless there is some apparent reason for disbelieving him; and he is entitled to have the persons, against whom he complains, brought before the court and tried. The only condition requisite for the issue of process is that the complainant’s deposition must show some sufficient ground for proceeding. Unless the Magistrate is satisfied that there is sufficient ground for proceeding with the complaint or sufficient material to justify the issue of process, he should not pass the order of issue of process. Where the complainant, who instituted the prosecution, has no personal knowledge of the allegations made in the complaint, the magistrate should satisfy himself upon proper materials that a case is made out for the issue of process. Though under the law, a wide discretion is given to magistrate with respect to grant or refusal of process, however, this discretion should be exercised with proper care and caution. It is very much clear from the above that the Assignment Deed dated 29.03.2006 specifically contains one clause which requires that the clients and other related persons shall be informed about the alleged Assignment. But this fact was not brought to the notice of the respondent-Company. Primarily, it was the duty of the State Bank of Travancore to inform the respondent-Company about the said assignment and secondly, Kotak Mahindra Bank was to inform the same to the respondent-Company. If the intention of the Assignor and the assignee to the Assignment Deed dated 29.03.2006 was clear, then why the facts of the same were not brought to the notice of respondent-Company that too when Clause 2.3 of the Assignment Deed very clearly states so. 20) The position becomes more clear from the fact that even after the alleged assignment, in a proceeding before the appellate tribunal, none of the representative of the State Bank of Travancore mentioned about the factum of such assignment. The respondent-Company came to know about the alleged Assignment after a lapse of 9 months i.e. on 17.01.2007, when an application was moved by the Kotak Mahindra Bank for substituting its name in place of State Bank of Travancore. In the absence of such knowledge, on 11.01.2007, the respondent-Company entered into a deed of Assignment with the Kotak Mahindra Bank wherein all the dues of a defaulter, viz., Ravishankar Industries Pvt. Ltd., of more than Rs. 32 crores were assigned to the Kotak Mahindra Bank. The Kotak Mahindra Bank was under an obligation to inform the respondent-Company about the earlier Assignment Deed which was not done. More so, the Kotak Mahindra Bank received a sum of Rs. 225 lakhs in March 2007 from Ravishankar Industries Pvt. Ltd. but without giving any information as to the terms of settlement and the mode of payment to the complainant-Company, approached the Recovery Officer-I for appropriating the same. 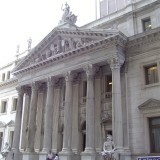 21) With regard to the contention of learned senior counsel for the appellants herein that there can be no vicarious liability attributed to the Director, Deputy Director of a Company unless the Statute specifically creates so, no doubt, a corporate entity is an artificial person which acts through its officers, Directors, Managing Director, Chairman, etc. If such a company commits an offence involving mens rea, it would normally be the intent and action of that individual who would act on behalf of the company that too when the criminal act is that of conspiracy. Thus, an individual who has perpetrated the commission of an offence on behalf of the company can be made an accused, along with the company, if there is sufficient evidence of his active role coupled with criminal intent. Second situation in which an individual can be implicated is in those cases where the statutory regime itself attracts the doctrine of vicarious liability, by specifically invoking such a provision. 22) In view of the above, we are of the considered opinion that there was suppression of facts by both the Banks and the State Bank of Travancore was duty bound to inform the respondent-Company about the Assignment dated 29.03.2006. As regards the appellants herein, appellant No.1 herein has claimed to have joined the State Bank of Travancore on 11.05.2006 i.e. subsequent to the assignment deed dated 29.03.2006 whereas appellant No.2 was the signatory to the said deed. 23) There is no denying the fact that both the appellants were responsible for day to day functioning of the State Bank of Travancore. Furthermore, admittedly, appellant No.1 was in employment of the State Bank of Travancore at the time of the execution of the deed of assignment and the appellant No.2 was the signatory to it. On a bare perusal of the complaint, it creates an iota of doubt as to why the respondent-Company was kept in dark by the State Bank of Travancore at the time of alleged Assignment Deed dated 29.03.2006 24) However, from the admitted position, it is evident that the complainant-respondent Company in its wisdom had withdrawn the complaint against the two persons, who were the officers of the Kotak Mahindra Bank Ltd. from a common complaint made against four persons. However, we do not find any reason as to why the remaining two persons, being the present appellants, who were the officers of the State Bank of Travancore at the relevant time, are being prosecuted. Hence, the complaint against the present appellants does not survive and in the interest of justice the same is liable to quashed and is accordingly quashed. 25) In view of the above discussion, the appeal succeeds and is allowed. However, there shall be no order as to costs.